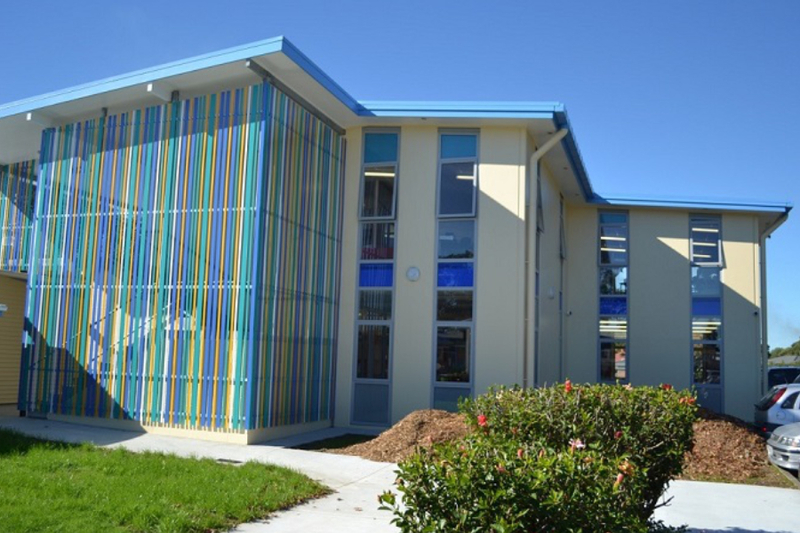 The classroom block at Mangere Central School, Mangere is a two level slab-on-grade building comprising precast concrete walls, suspended rib and timber infill mid floor and supporting steel beams.The roof is a steel beam structure and DHS steel purlins. The structure was supported on screws piles and concrete ground beams due to the poor ground conditions. Mangere School Classroom – Stair feature, external shot. Suspended concrete floor/precast concrete walls and steel support structure. Suspended rib and timber floor and precast panel.